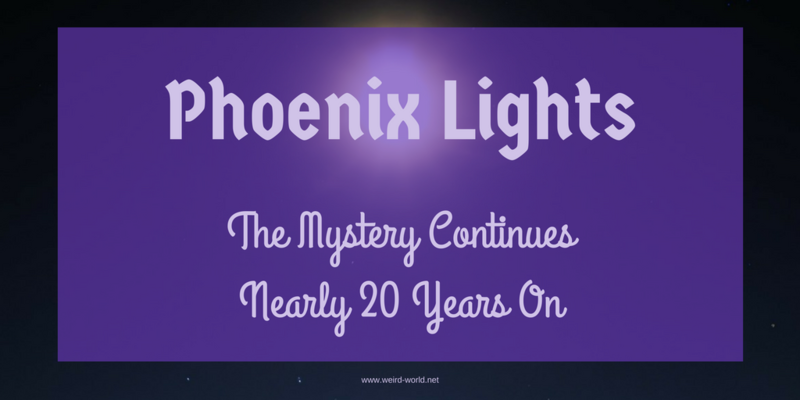 The Phoenix Lights are one of the classics of unexplained UFO cases that took place in March 1997. Now, almost twenty years on, it seems that the case remains unsolved and that the lights have once again been seen over the city. 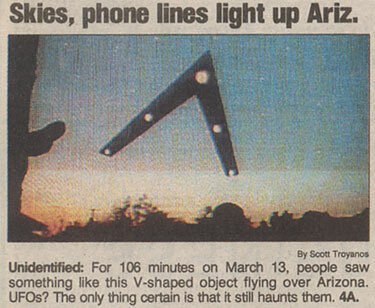 Back in 1997, the case started with a report from a man who saw a V-shaped object over Henderson Nevada around 18:55pm on the night of the 13th March. He described it as sounding like rushing wind and being the size of a 747 with six lights on the leading edge. The craft travelled north-west to south-east. Around 20:15pm, an unnamed police officer from Paulden, Arizona also reported seeing a cluster of reddish or orange lights in the sky. Four were together and a fifth trailed them then as he came closer, he saw each of the lights consisted of two separate orange lights. These lights were likened to Parachute Flares, often seen over military training ranges. Further reports of lights came in from Prescott a few minutes later including a note that the object with the lights was solid enough to block out the stars as it passed. One witness was John Kaiser and his wife and sons. They saw a triangular pattern of lights that appeared red, save the one at the top that was white. Six people also saw a cluster of white lights while driving on Highway 69 near Dewey, some 10 miles east of Prescott. The first sighting from Phoenix, where the case became most famous, was by Tim Ley, his wife, son and grandson when the lights were above Prescott Valley and still around 65 miles from Phoenix. At first they seemed to five separate lights in an arc shape and were coming closer. Eventually, the lights were discernible as being at a 60 degree angle with one light at the front and two on either side. 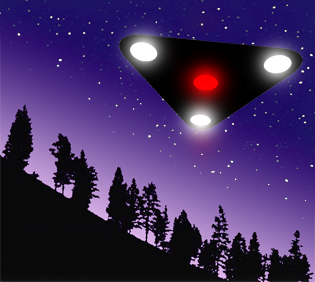 The object associated with the lights moved slowly and could hover silently. It passed over Piestewa Peak and headed towards Phoenix Sky Harbour International Airport. Other reports started to come in quickly. Bill Greiner, a cement driver, saw the lights and admitted his opinion of Ufology was forever altered by it. Another report came from a man in the Kingman area who saw a ‘cluster of stars moving in the northern sky’. 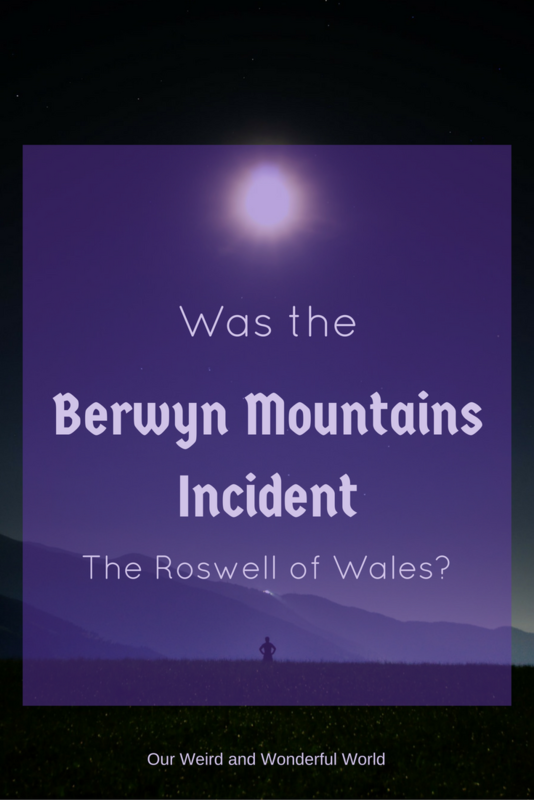 The object also seemed to be able to turn off the tell-tale lights as another witness saw a ‘flat blue-black’ craft that moved over their position but didn’t have any lights on it. 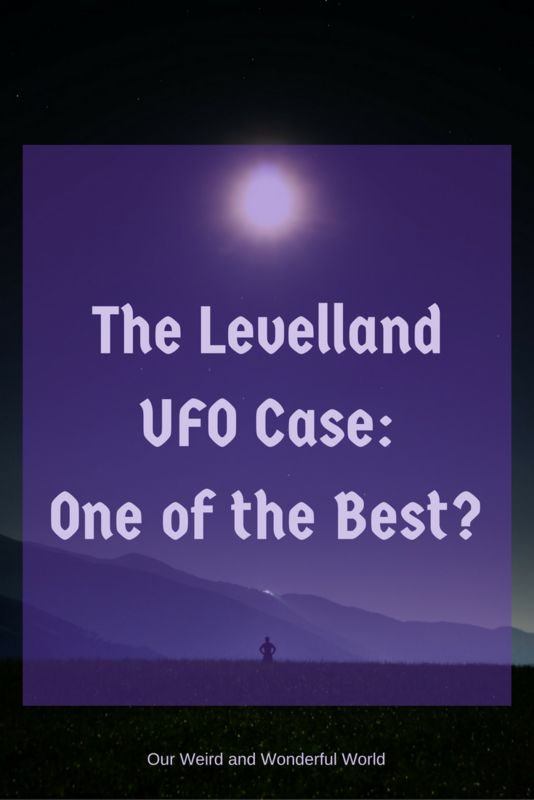 Two separate pilots reported seeing the lights on that evening from different locations, with both saying they saw a craft that was over one mile long. One of the reasons that the case is always viewed as one of the most interesting is that there were a number of photos and even videos made of the event. 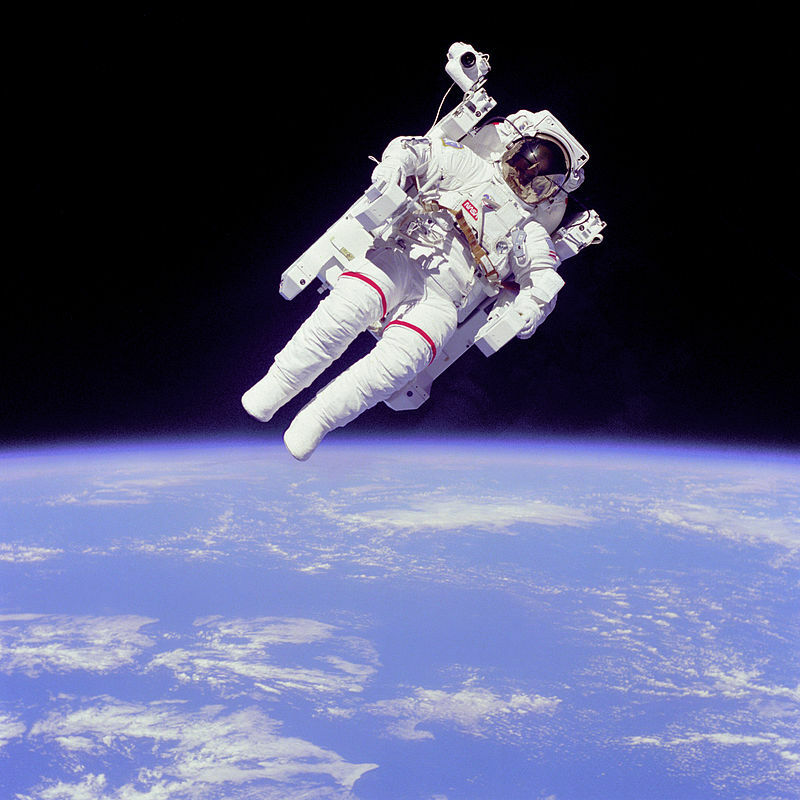 Several ended up being included in TV shows on the topic including on Discovery and the History Channel. One of the most famous includes the arc of lights that went out one at a time. Other shots include V-shapes of lights while the boomerang shaped craft reported by many witnesses was also photographed. On October 25th, this year, a number of witnesses went on social media to report seeing lights similar to those photographed and reported almost twenty years ago. The reports were spread across a 300 mile radius from Phoenix to Tucson, eliminating one of the possible explanations offered for the sightings – that these were the lights from drones at nearby Luke Air Force Base. The base did also confirm that all of their aircraft were grounded by 5:30pm, some time before the sightings began. Like the sightings in 1997, most of the reported light sightings this time happened by 7:30 and 10:30pm. 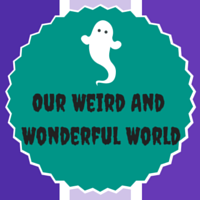 PreviousStocksbridge Bypass – Britain’s Most Haunted Road?